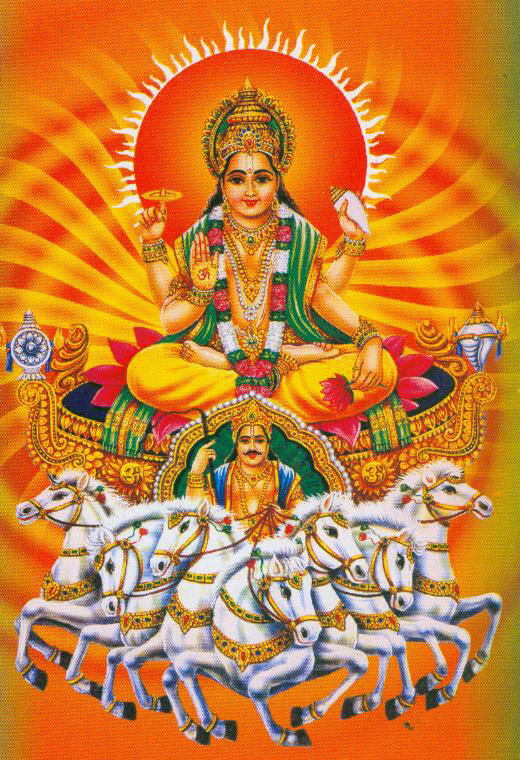 Ratha Saptami is dedicated to Lord Surya, the Hindu Sun God. Ratha Saptami is celebrated on Sunday 17th February 2013. Ratha Saptami or Rathasapthami or Magha Saptami is a Hindu festival that falls on the seventh day (Saptami) in the bright half (Shukla Paksha) of Maagha masam. The day is of great significance in Maharashtra, Andhra Pradesh, Karnataka and Tamil Nadu. In Orissa, the day is observed as Magha Saptami. Ratha Saptami falls on the second day after Vasant Panchami or Sri Panchami or Madana Panchami. It is symbolically represented in the form of the Sun God Surya turning his Ratha (Chariot) drawn by seven horses (representing seven colours) towards the northern hemisphere, Sun worship is deep rooted in the Vedas of the Hindu religion. 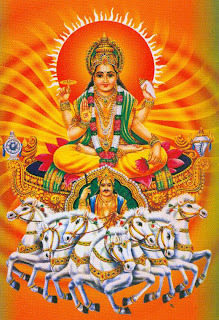 Ratha Saptami also marks the birth of Surya to sage Kashyapa and his wife Aditi and hence celebrated as Surya Jayanti. Sun is also known by the name Arka. 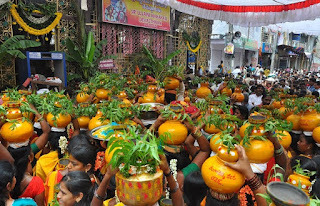 Shukla Paksha Saptami in Magha month is known as Ratha Saptami or Magha Saptami. By worshipping Lord Surya and observing fast on this day one can get rid of all type of sins. It is believed that seven types of sins done, knowingly, unknowingly, by words, by body, by mind, in current birth and in previous births are purged by worshipping Lord Surya on this day. This day is also known as Achala Saptami. Ratha Saptami is a symbolic change of season to spring and to start of harvesting season. The Sun’s own house is Leo (Simha) and he moves from one house to the next every month and the total cycle takes 365 days to complete. This will complete all Raashi. The festival is of great importance at the Tirumala Tirupati Balaji Temple. “Sapta Sapta Maha Sapta, Sapta Dweepa Vasundhra , Sapta Arka Parnamaadaya, Saptami Ratha Saptami”. of pure Ghee and offer it with Karpoor, Dhup, and red flowers. Then offers Paramannam is prepared with boling rice and Jaggery with Milk as prasad. The most famous lord sun temple is the Konarak Sun Temple is in Konark, Orissa.